It’s not just 12 days of Christmas here at Waddesdon - there are hundreds of animals and thousands of lights to enchant visitors. You probably already know that Christmas at Waddesdon is a pretty big deal, and this year we have nearly 500 animals, over 300 birds, 700 butterflies and 14 fantastic creatures as part of the decorations. 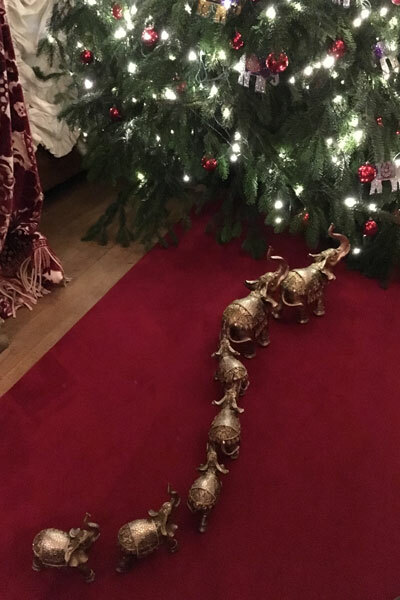 Our house decorations are based on the theme of an Enchanted Menagerie –celebrating the animals, birds and insects which have associations with Waddesdon’s history and collections. For the last few weeks teams of makers and decorators have been working their magic, and we think the results are spectacular. 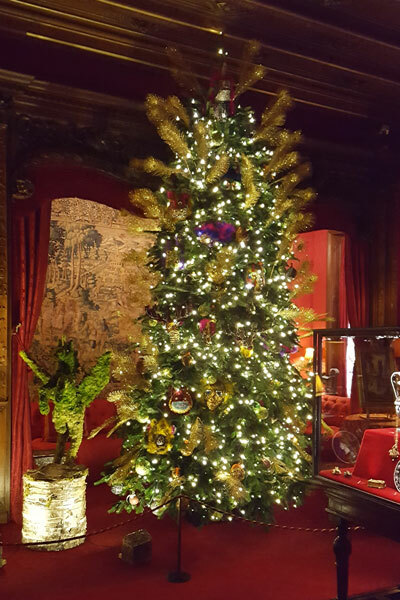 Over 200 hand-decorated elephants adorn the trees in the East Gallery – over 60 hours were spent making them glitter and sparkle. It took over three days to create Baron Ferdinand’s poodle Poupon from reindeer moss – you’ll find him in the Breakfast Room. 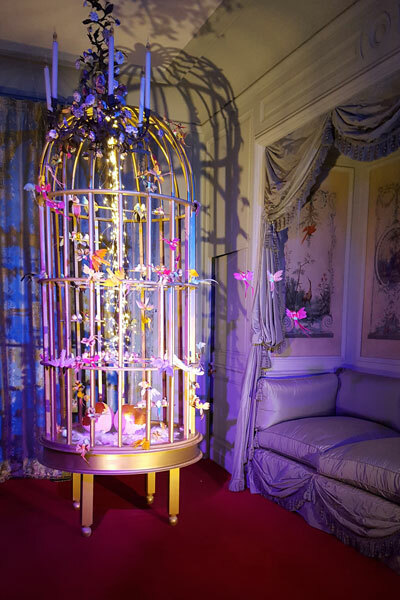 The eight wading birds in the White Drawing Room took over three weeks to make and are constructed from moss, bark, coconut fibre and other natural materials supported by a metal frame. 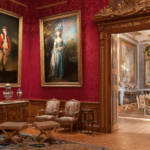 Around 700 butterflies and moths decorate the Blue Dining Room. 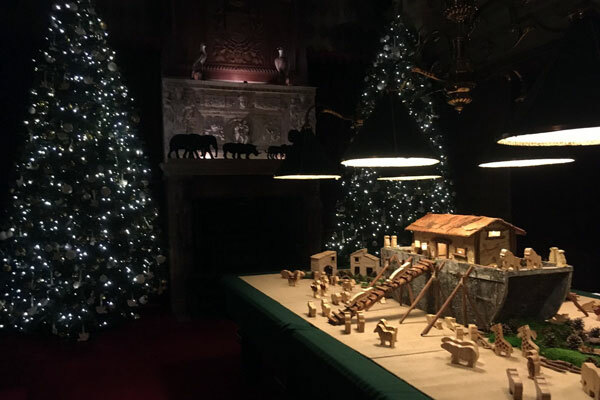 In the Billiard Room, the table has been transformed into Noah’s Ark. With over 100 animals in pairs and 300 doves; it took a week to make. We have ten 15-foot Christmas trees which we chose from a farm in October, and it takes 6 men to carry each tree through the Manor, negotiating spiral staircases and our precious collection! There are over 10,000 pea lights and 3000 baubles decorating the trees. Overall the planning for Christmas has taken a whole year, and we have already started planning for Christmas 2018! Tickets have been selling fast for visits to the Enchanted Menagerie in the house, and there aren’t many left for the weekends, but if you book soon you should be able to see all these decorations on a weekday or even in the run up to Christmas, we’re open up to and including Saturday 23 December and again from 27 December right through to Tuesday 2 January. We couldn’t do all this without the help of The Flower People and Jane Le Bon.